McDonald's, the world's largest restaurant chain by revenue serving over 70 million customers daily in over 100 countries, continuously invests in technological and digital advancements in order to keep up with customers' expectations, enhance the restaurant experience and improve efficiency. 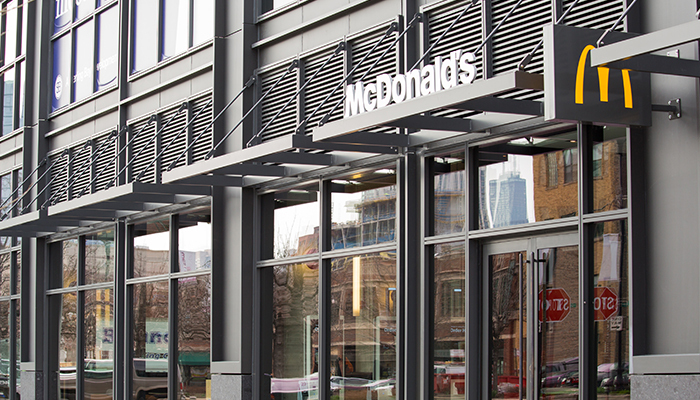 As a specified supplier to McDonald’s, Aircharge was invited to demonstrate its industry-leading wireless charging solutions for public spaces at the McDonald’s Worldwide Convention. Taking place at Orange County Convention Centre, Orlando, from 16th to 19th April 2018, the conference was attended by over 15,000 restaurant owners, franchisees and VIPs from McDonald's Corporation worldwide as an opportunity to review their recent successes, share future plans and display the latest products, technologies and services. Aircharge also provided over 120 wireless charging points across the floor registering over 20,000 interactions in 4 days. 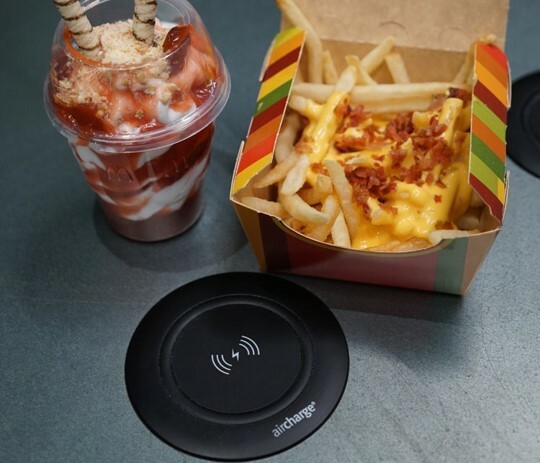 Offering a solution specifically manufactured for industrial use - perfect for a public environment like a restaurant, Aircharge supplies McDonald’s its surface wireless charging technology complete with the Orb adaptor, the World’s first and only ‘Made For iPhone’ certified multi head connector with micro-USB, Lightning and USB Type-C connectors to charge non-Qi devices.